Book in now for a free dental check up with one of our qualified nurses. Imagine how your mouth would feel, and smell, if you never brushed your teeth. Imagine having a really bad toothache and not being able to tell anyone about it! 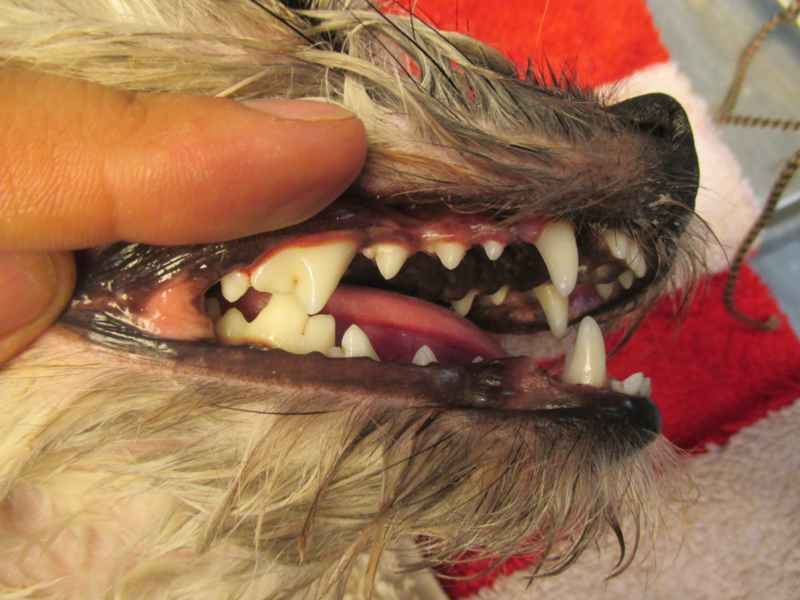 Dental disease begins with a build up of bacteria in your pet’s mouth. Bacteria, combined with saliva and food debris, can cause plaque to accumulate on the tooth. As calcium salts are deposited, plaque turns to calculus (brown or yellow material starting near the gum line of the tooth). Without proper preventive or therapeutic care, plaque and tartar build-up leads to periodontal disease, which affects the tissues and structures supporting the teeth. Periodontal disease can cause oral pain, tooth loss and even heart or kidney problems. Unlike us, our pets won’t sit still or open their mouth to allow a comprehensive cleaning of their teeth. 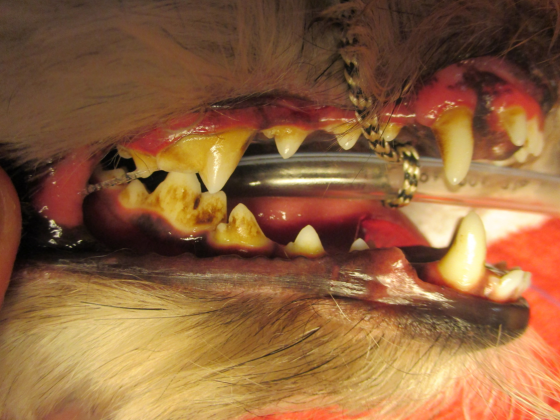 For this reason our pets need to have a general anaesthetic for a professional dental clean. 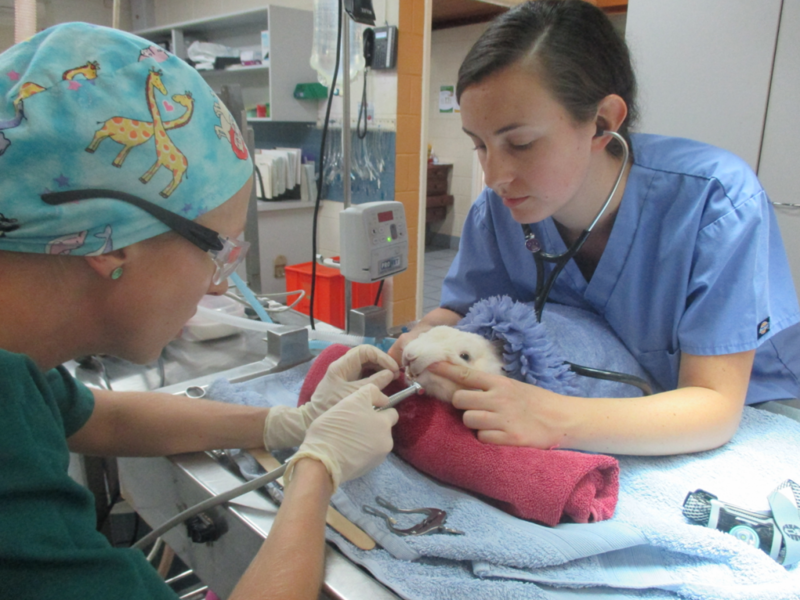 Our veterinarians will then remove the tartar above the gumline using a special ultrasonic scaler, just like a dentist uses for our teeth. The teeth are then polished using a dental polisher and specialised fine-grade paste. If the dental disease is not severe, the procedure will end here. However, if certain teeth are so severely affected they cannot be saved, extractions will be necessary. In some cases, gum surgery is required to close the holes left behind when a tooth is extracted, and dissolvable stitches are used for this procedure. Once all dental work is completed, your pet may be given an antibiotic and an anti-inflammatory injection, the anaesthetic gas is turned off, and your pet is allowed to wake up. Pets are generally able to go home on the same day.